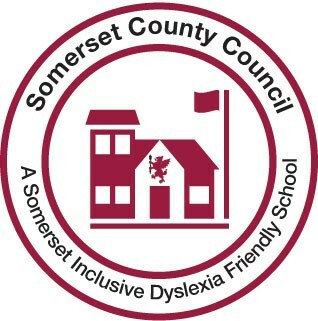 We are delighted to announce that we have been awarded The Somerset Inclusive Dyslexia Friendly Schools Initiative. Our School continues to be a ‘GOOD School’ according to our recent Ofsted inspection (February 2018). We feel the report reflects the school’s family ethos and the importance of every child to us. The report also reiterates the church school inspection which found us to be an outstanding church school (November 2016). Long Sutton C of E Primary School and Toy Box Pre-school are committed to safeguarding and promoting the welfare of children and young people and expect all staff, volunteers, visitors and outside agencies to share this commitment and to follow the school’s policy and procedures. This inspection reiterates the finding of the church school inspection (SIAMs), in which we were shown to be outstanding in all areas (SIAMS Report Nov 2016). It was particularly noted that the ‘Explicit Christian values have a significant impact on behaviour and relationships in the whole school creating a positive and supportive community’ and as a result of this ‘all children do well academically, make good progress and attain standards that are in line with or above national expectation’. The children were able to talk clearly about their learning and Christian understanding and how this supports them in their daily lives. As a school we are really pleased that all our hard work has been recognised by the inspection and feel the report clearly reflects our wonderful school. It really is a place where ‘children learn to love and love to learn’ and have amazing opportunities to develop in all aspects of learning and life. We welcome all children and work hard to meet each of their individual needs. We aim to encourage each child to reach their full potential through a wide range of learning experiences as they journey through their time at our school. To enable them to achieve this, we aim to create a warm and welcoming atmosphere within each class, where children feel accepted and are able to explore new things with increasing confidence and independence. The Christian ethos of the school is reflected in the way we encourage each child to participate within a secure framework of boundaries where they are never afraid to ‘have a go’. We strive to work in partnership with parents to support each child on their learning journey. We pride ourselves in fostering strong relationships with both the local church and community. At Long Sutton C of E Primary we believe this helps children to learn their place in society and to value the important role other people play in helping them develop into responsible, confident young people who care for the world around them and those in it.